It’s definitely not October just yet (don’t worry), but today does mark the start of Oktoberbrawl, Blizzard’s Hearthstone event pitting the entire community against each other while two teams of three players engage in a month-long battle for supremacy. Your prize for participating? Two unique card backs. 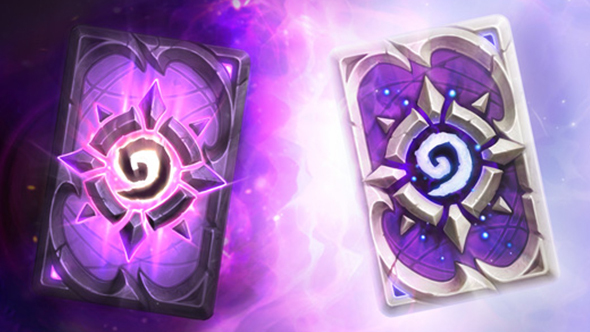 If you want to get in on the action, check out the best Hearthstone decks for beginners. Battles kick off today, with Team Void’s Dog, Thijs, and J4CKIECHAN taking on Team Light’s Kripparrian, Reynad, and Alliestraza. Each player starts with a fresh account for the battle, and support from the community will determine which team gets to pull from a pool of additional boosters. Oktoberbrawl runs through, you guessed it, October, with the finals taking place at TwitchCon. If you’re not a Prime member, you can still get in on the action with a free trial. And hey, two-day shipping from Amazon is nice if participation in a Hearthstone event isn’t enough for you.